Home News Film News Another Project Goes To Sai Dharam Tej Via Nani! 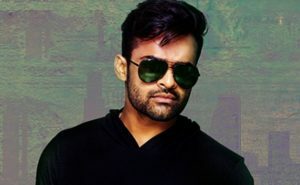 Megastar’s nephew Sai Dharam Tej has been going through terrible phase in his career now.He is hoping to bounce back with Chitralahari directed by Kishore Tirumala and produced by Mythri Movie Makers. Meanwhile, we hear reports about Sai Dharam Tej bagging another crazy project.